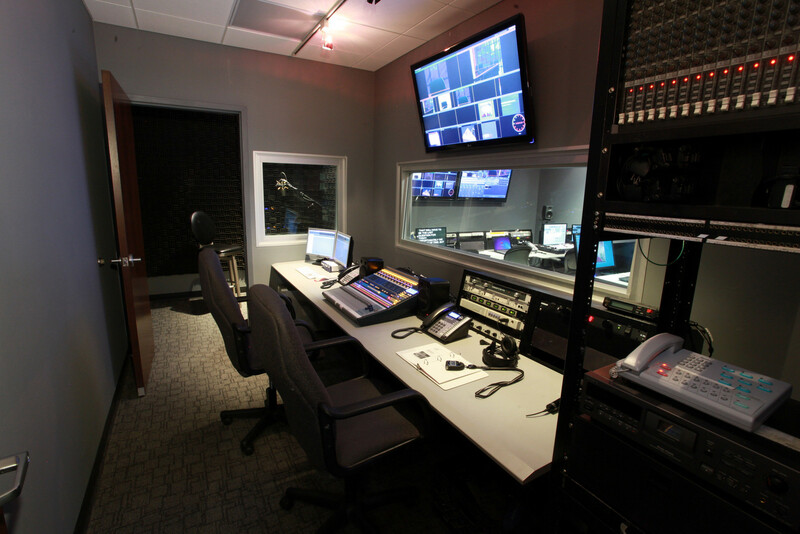 Our audio room is no slouch when it comes to what it can do. It’s capable of handling tasks like ADR (automated dialog replacement). Often you will find us recording a doctor’s presentation over Skype so that we can insert it into a KOL presentation with Powerpoint slides. We are usually using quite a few channels on the board for wireless mics in one of the studios during a shoot. During a live webcast, the program audio from the discussion is being sent to a phone bridge for those not able to watch the webcast. And IFB is being sent to the host of the webcast so we can give cues or questions to pose to the rest of the panel. The audio booth is where we’ve recorded countless voice-overs for TV shows, radio commercials, product demos, and much more.